The Red Sea in Egypt is famous among scuba divers for the most colourful reefs in crystal clear waters, for the blue hole, for some of the best wrecks in the world and for sharks! While there are great options to do dives on a day trip basis it is way more fun to book a liveaboard trip and enjoy the comforts of living on your dive boat. It will always drop you from your bedroom right to the dive site and right after a dive, you will have a chance to have a hot shower (or a beer). 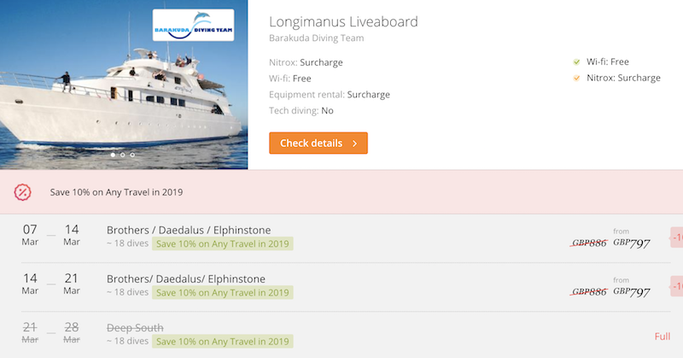 To help you find your way through all the different possibilities you have to take liveaboards in the Red Sea we've put together the very best itineraries for liveaboards in Egypt. And when it comes to getting the cheapest deals sign up to our GTS members-only discount card and get 5% off 39 liveaboards in Egypt and over 200 more worldwide.. and we haven't even mentioned the 130 dive centres and tons of brands yet! For your best chances to see the big stuff like sharks and mantas you will want to look at trips going to Elphinstone, Brothers and Daedalus. These trip will include a lot of time in the open ocean and are recommended from April till October. The two islands big and little brother, located 60 km from shore, offer incredible wall diving with all kinds of pelagics passing by. The main attractions are two large cargo ship wrecks, the beautiful walls covered in coral and small fish, the occasional thresher shark passing by and the Longimanus (oceanic white tip sharks) hanging around the dive boats. It is also possible to encounter other sharks like grey reef, hammerheads or silky. 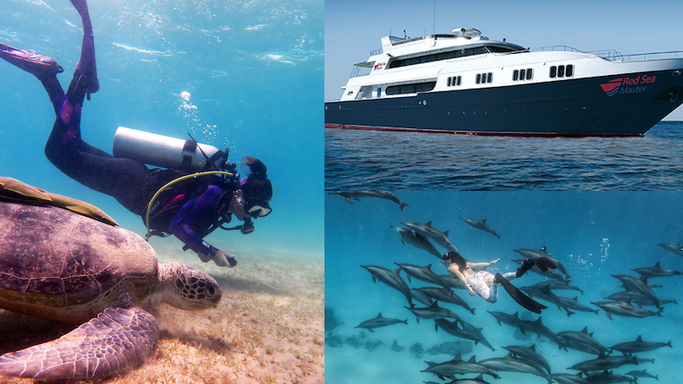 This is one of the most popular Red Sea routes so make sure you take a look at all the different options. And don't forget to sign up to our GTS membership discount card before you book a holiday which will get you 5% off 250 liveaboards including 21 going to Daedalus and Brothers island. If you like wreck diving Egypt is just the place for you to go scuba diving. The most famous wreck is definitely the Thistlegorm, there is so much to explore on this wreck that you can do easily four dives on it. The advantage to visit the Thistlegorm on a liveaboard is that you will be the last one there doing a night dive and the first one to jump in in the morning. Some operators will offer reefs and wreck tours in the north which also include the best dive sites around Sharm el Sheikh like the Ras Mohamed National Park and Strain of Tiran. 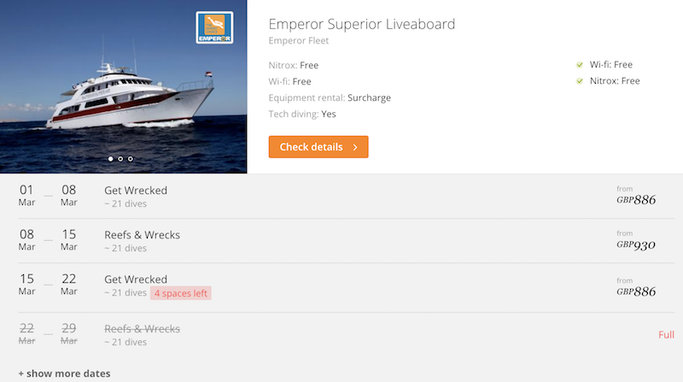 For wreck lovers, there are also itineraries which focus mainly on the wrecks. These trips include Thistlegorm, Dunraven, Ulysses, Abu Nuhas (the Carnatic, Chrisoula K, Ghiannis D, Kimon M) and possibly more. 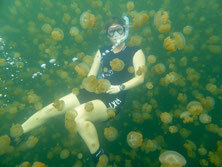 For more experienced divers the Rosalie Moller might be included as well. 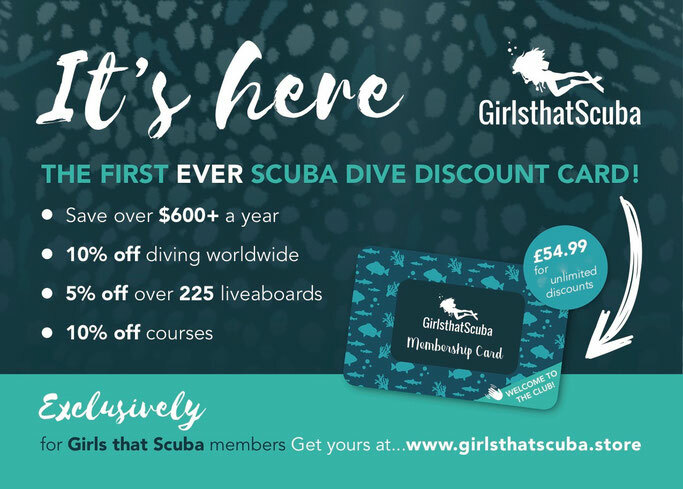 Don't forget to sign up to our GTS membership discount card before you book a holiday which will get you 5% off 250 liveaboards including 21 going to Thistlegorm. This combination allows scuba divers to combine the famous Thistlegorm wreck dive with the chance of seeing sharks and other pelagics at the walls of the Brother islands. This is the more economic “a bit of everything” itinerary Egypt has to offer usually starting from Hurghada. The most pristine reefs can be found in the South of Egypt. The most famous area will be covered by the so-called “deep south” liveaboards which visit St. John. These reefs offer a variety of swim-throughs, pinnacles and caverns to explore placed in the most incredible coral formations. 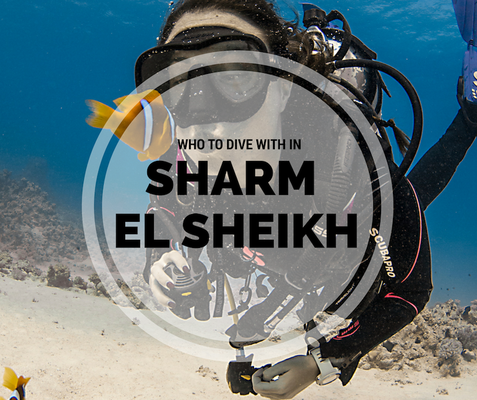 Besides the best reefs in the Egypt it is also possible to encounter sharks, dolphins and mantas. The dive sites in the far south are much less visited than the ones in the north and therefore pristine and unspoilt. Other itineraries also include Fury Shoal on the way down to St. John which is another area with wonderful coral gardens and all the typical colorful Red Sea fish. Don't forget to sign up to our GTS membership discount card before you book a holiday which will get you 5% off 250 liveaboards including 8 boats going to St Johns. 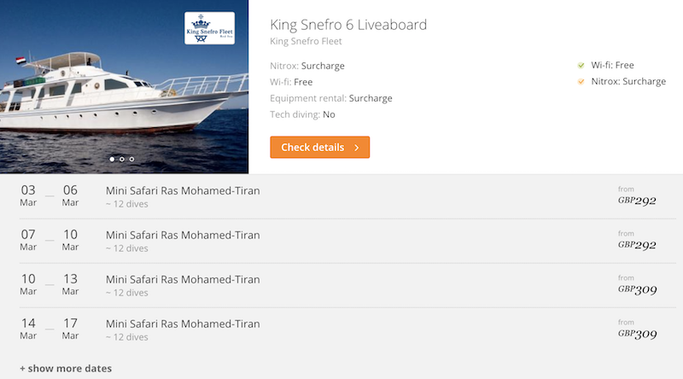 From Sharm el Sheik it is possible to take short liveaboard trips for only four days and three nights to visit the Thistlegorm and some beautiful reefs in the north. This is a good option if you are short in time or money. These trips are available starting at as small as USD 300. 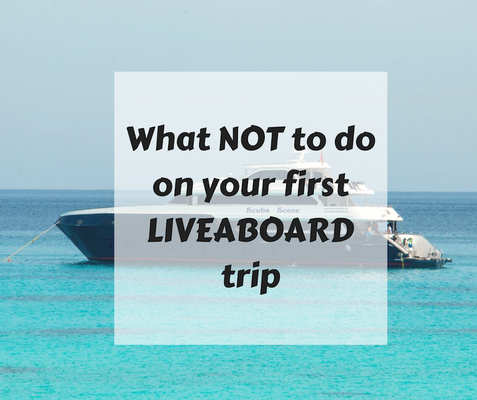 Most liveaboards will require you to be at least advanced certified and to have more than 20 to 50 dives, depending on the operator. At some sites, the currents can be strong so you should have experience in currents. Night dive are also amazing in the Red Sea so you should also have a few night dive under your belt before you come. You may need to pay "park fees" at some dive points, so make sure you check if these are included in your package before you arrive. The Red Sea can be rough, if you easily get sea-sick, make sure to bring medicine with you. Your itinerary might include some overnight rides in the open ocean and you need your sleep to get three to four dives in every day. Egypt gets HOT! You will need a lot of sunscreen - make sure it is reef safe. Ladies, if you are getting off the boat to look around any of the local town make sure you cover your shoulders, chest and legs. You can wear flowly skirts and light tops, so no need for full on winter gear, just be respectable. Goni Boller is a scuba instructor, underwater photographer, biologist and blogger at More Fun Diving. Since January 2013 she is travelling and diving the world full-time while working as a writer and freelancer from the road.